Various dates in 2017. 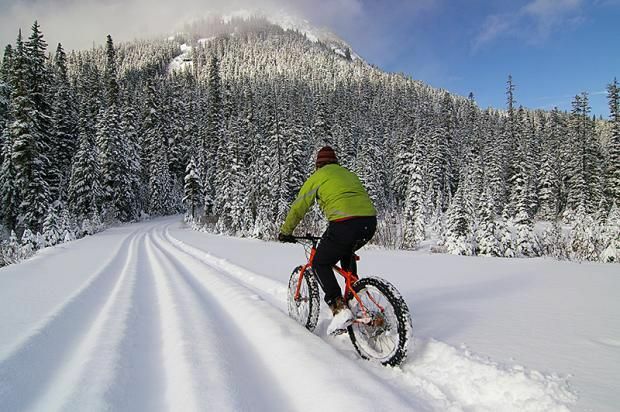 Winter biking? Yes! Join Exodus Travels for their 8-day Fat Biking in Finland tour. If you are new to fat bikes, they are similar to mountain bikes except they are fitted with wide tires (usually 4 inches) designed for low ground pressure to allow riding on soft unstable terrain, such as snow, sand, bogs and mud. This trip takes you through the snowy, remote Finnish Wilderness to Oulanka National Park, forests, lakes and swamps near the Russian border, and opportunities to see the Northern Lights. This small group tour (less than 12) is rated at a level 4 (moderate/challenging) and includes 5 days guided fat biking, 7 nights lodging, meals, fat bike rental, charter flight from Gatwick to Kuusamo, and airport transfers. A unique holiday to explore the Lapland winter wilderness on two wheels!